Debbie Baptiste is still wearing her grey "Justice for Colten" T-shirt. It's been one year since Gerald Stanley was found not guilty of murder in the death of her son, Colten Boushie, after a shooting in a Saskatchewan farmyard. Debbie Baptiste is still wearing her grey "Justice for Colten" T-shirt. 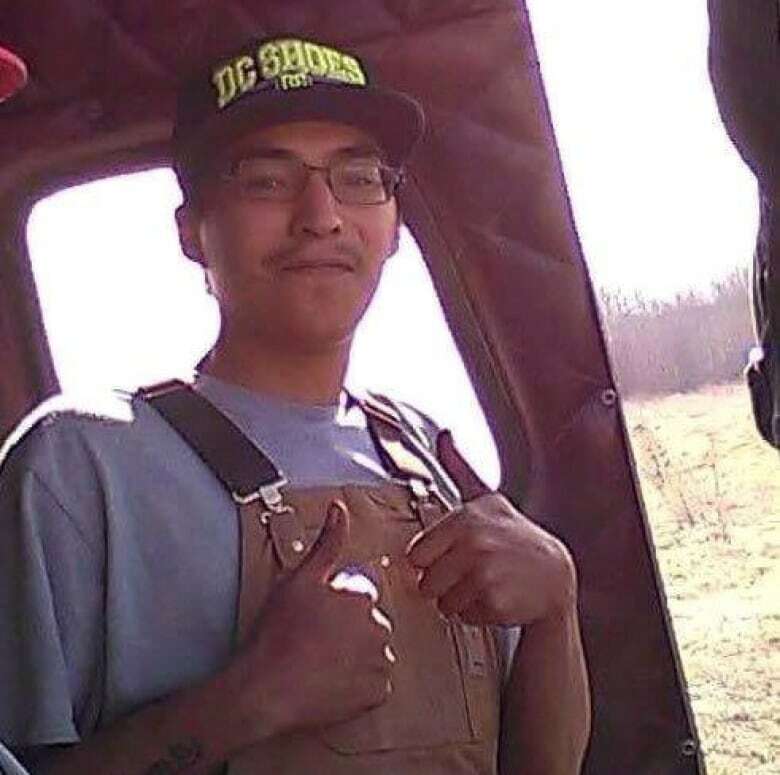 Red Pheasant Cree Nation man Colten Boushie was shot and killed in a Saskatchewan farmyard in 2016. It's been one year since Gerald Stanley was found not guilty of murder in a trial that attracted international attention. "After all this, we still miss him, still love him. 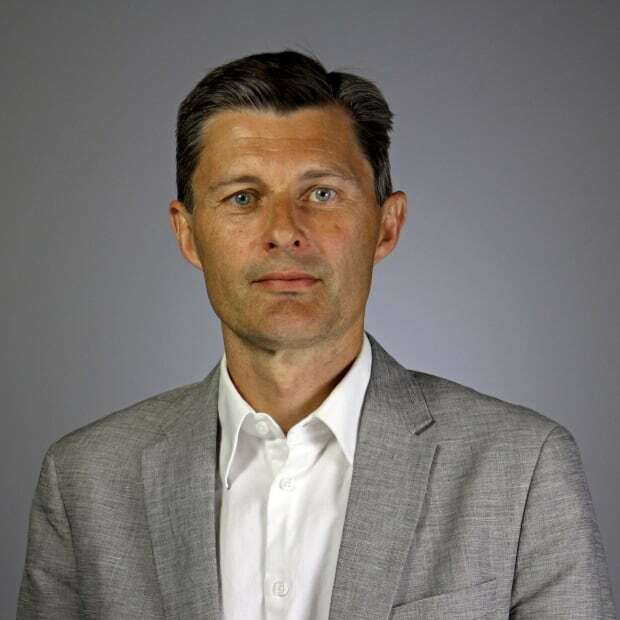 And if we just keep fighting for justice for other people as well, then we have hope," Baptiste said in an interview this week from the law office of family friend Eleanore Sunchild. His case sparked a national debate on racism and the justice system's relationship with Indigenous people. The case is changing the way the RCMP operate and could change the way juries are selected. Baptiste, Sunchild, legal scholars and others say these reforms are necessary, but aren't nearly enough. Sunchild and others have organized a public event for Saturday afternoon in North Battleford to mark the anniversary. It begins at 3 p.m. local time with an indoor pipe ceremony at the Chapel Art Gallery, followed by a round dance and reflections on the past year. "Everyone is welcome. This is a positive event meant to support Colten's family and community," reads a Facebook post for the event. "We gather to honour Colten's mother, family, and community. We also gather to thank them for the difficult work they have done to foster change and hope ... Dress warm!" Boushie's uncle, Alvin Baptiste, thanked those who have supported their family. He said they will need that support and strength as they continue to press for reforms. "We still have a long way to go — a long way — to have equal justice in the court system," he said. Stanley's lawyer, Scott Spencer, said neither he nor his client would comment on the anniversary. 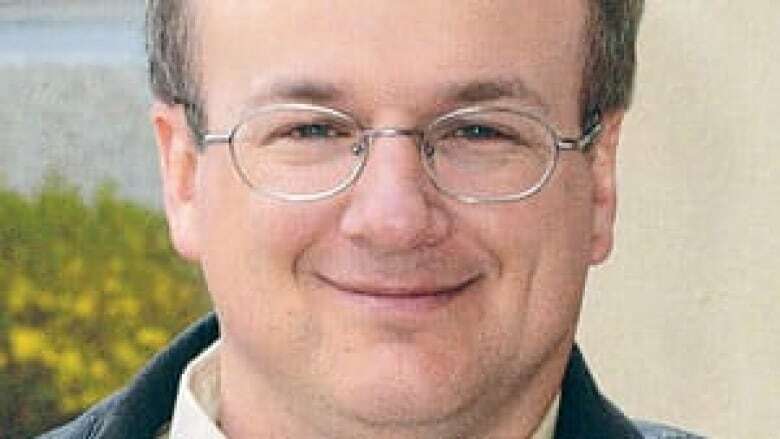 A Saskatchewan Justice official said Crown prosecutor Bill Burge would not be commenting. Early on the evening of Feb. 9, 2018, word spread quickly through Battleford's historic Court of Queen's Bench: the jury had reached a verdict. Stanley's family and supporters sat on the right side of the tiny gallery, with Boushie's on the left. Security, media and other observers sat at the back or crowded in the doorway. Immediately after the head juror announced the "not guilty" verdict, Debbie Baptiste and others cried out, while Stanley and the jury were rushed out of court. Some said the system worked exactly as it should. But the case drew criticism from Boushie's family, Indigenous leaders and legal experts on several fronts. Potential jurors appeared to be rejected because they were Indigenous, said some observers. Lawyers are allowed to reject a candidate without giving reasons, a process known as a "peremptory challenge." "The deck is stacked against us. ... We don't have a voice," Alvin Baptiste said after watching the Stanley jury selection. The outcry created by the verdict led to some changes. Despite fierce opposition from lawyers' associations and others, Parliament has passed a bill that would eliminate peremptory challenges. That measure followed meetings between Boushie's family, Prime Minister Justin Trudeau and members of his cabinet. Challenges would still be permitted, but lawyers would have to ask the judge's permission to question a candidate about his or her views. The judge, not the lawyer, would then have the power to reject the candidate. "That's a very dramatic move. It's overdue, and it's wise," said Steven Penney, a University of Alberta law professor and co-author of Criminal Procedure in Canada. Penny said this appears to be one of those extremely rare cases that causes a fundamental change to the justice system. The bill is not law yet, though. It must still pass through the Senate. It's unclear whether that will happen before the next federal election. "This change is necessary. It's a national problem. But time is the enemy," said University of Toronto law professor Kent Roach. The case has also caused RCMP to rethink the way it operates. The force was criticized for the way officers notified Baptiste of her son's death, for the press release about it that some saw as "victim-blaming," and for the overall quality of the investigation. "While we cannot speak directly to the incident or the investigation, we can speak about how the incident, in its totality, provided us, the Saskatchewan RCMP, with an opportunity to evolve," an RCMP official said in an email. RCMP said they've increased recruitment and education efforts within the force. They now meet quarterly with Saskatchewan Indigenous leaders. Officers consult with the force's Indigenous Policing Services Unit before issuing press releases affecting Indigenous people. They also hope to have a "Reconciliation Strategy" completed in the next few months. RCMP will also be "re-energizing" rural crime watches and bolstering service and intelligence efforts in rural Saskatchewan. RCMP had been criticized by rural residents for response times to property and other crimes in rural and remote areas. Roach, author of Canadian Justice, Indigenous Justice: The Gerald Stanley and Colten Boushie Case, said he hopes the rift between Indigenous people and the justice system can be healed. But he said there needs to be even more fundamental change. That means improving other aspects of the jury system such as bringing more Indigenous people into the selection pools. It also means respecting the world views and legal traditions of First Nations. "I hope that people learn from this case," Roach said. Debbie and Alvin Baptiste, Sunchild and others agree. They've spent the past year delivering that message to Premier Scott Moe, to Trudeau and to the United Nations. "The change will only come with concrete action," Sunchild said. "We are tired of empty promises." Jason Warick is a reporter with CBC Saskatoon.